Rose Arainty entered into rest May 1, 2018, at the age of 92. Rose was born in Susanville on Oct. 8, 1925 to Eugenio and Benita Ezquer. When she was 8, the family moved back to Spain where they lived for the next 19 years. Rose grew up in Burgui, Navarra, then moved to Pamplona after the Spanish Civil War ended. The family eventually moved back to Susanville in the 1950s, at which time Rose and her sister, Maria, both began working at Lassen Memorial Hospital. Rose worked at the hospital as a dietician for 10 years. 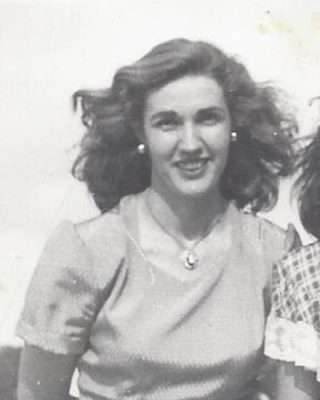 During the 1950s and 60s, Rose loved going to the local Basque dances and picnics and enjoying good times with family and friends like the Esparzas and the Ochotorenas. When her sister Maria began dating Gene Goni, they introduced Rose to Gene’s cousin, Yves Arainty, who eventually became her future husband. Rose and Yves were married on Nov. 20, 1965. Together with their partners, the Garayoas, Yves and Rose ran Burney Bowl and Sierra Lanes Bowling Alley. In 1967, they welcomed a daughter, Yvette, to the family. After selling Burney Bowl in 1971, they moved back to Susanville and bought their family home on Mark Street. Rose and her husband Yves made numerous trips in the course of their 33-year marriage to France and Spain to visit and care for relatives. Rose shared a special bond with her sister Maria. They were inseparable and each other’s best friend. She was passionate about flowers and gardening and loved to spend her days tending to her beautiful backyard. Her other passion was watching her baseball team, the San Francisco Giants. She was a diehard fan who watched every game and gave the players a piece of her mind when they weren’t performing up to her standards. Rose was preceded in death by her husband, Yves Arainty, (1998) and sister, Maria Goni (2011). Rose is survived by her daughter, Yvette Rodrigues, son-in-law Chris, and grandson Lucas, of Renton, Washington; niece Rose Davis of Fair Oaks; nephew Paul Goni of Susanville; aunt Mariana Gonzalez of Murcia, Spain; and numerous nieces, nephews, and cousins throughout California, Nevada, and Navarra, Spain. Rosary service and Catholic mass funeral will both be held at 10:30 a.m., Saturday, June 16, 2018 at Sacred Heart Catholic Church in Susanville, followed by interment at Diamond Crest Cemetery. A reception will follow immediately at Monsignor Moran Hall. The family requests any donations please be made in Rose’s name to the Sacred Heart Caring and Sharing. Gladys (Gay) Claire Grantham Smedes, 87, returned to our Heavenly Father on Thursday, May 10, 2018 in Reno, Nevada. Gay was born on Nov. 6, 1930 in Denver, Colorado, to Gladys Margarite VanBuskirk and Donald Rupert Grantham. She was the second of nine children. California. At the age of 17, she met and married the love of her life Donald Gene Smedes. They were married on July 4, 1948 and in 1949 welcomed their first of five children. In 1963, they moved the family to Susanville, California where they lived the rest of their lives. Don and Gay were married for 63 years before Don passed away in 2011. 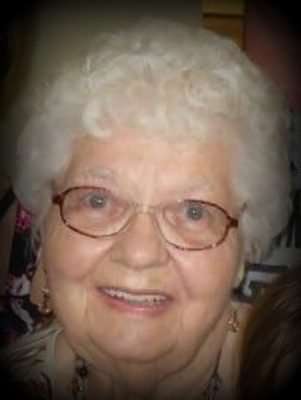 Gay was a member of the United Methodist Church, an avid doll collector; loved sewing, and baking cookies, and loved children. She babysat for many local children and even some of her great-grandkids over the years. She was affectionately known to many around town as Grandma Gay or the Doll Lady. Gay was preceded in death by her husband Don; brothers Thomas and Victor; and sisters Donna and Gerry. She is survived by her five children, Ray Smedes (Jane), of Carson City, Judi Bauer (Brent), of Susanville, Tom Smedes (Frances), of Sparks, Nevada, Steve Smedes (Jaime), of Santa Rosa, California, and Kevin Smedes (Traci), of Sacramento, California. Also surviving are sisters Margie Frederick, of Standish, California, Patsy Blevins, of Oroville, California, Halima Brewer, of Oxfordshire, England, and Michelle Spencer, of Susanville, California; as well as numerous nieces and nephews. Gay leaves a wonderful legacy behind in her nine grandkids, Wendy, Joel, Trent, Brooke, Blayne, Tucker, Grant, Eric and Ryan; and eight great-grandkids, Logan, Mikayle, Mason, Nolan, Kyra, Seth, Trajan and Tallyn. Services for Gay were held at 11 a.m. Monday, May 21, 2018 at the Susanville United Methodist Church. 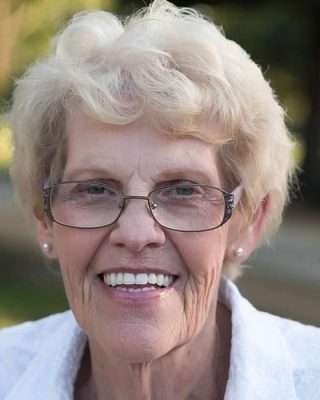 Joyce Marie Stock passed away on May 9, 2018 from complications due to Alzheimer’s disease. She was born to Albert “Lucky” and Mary Ellen McFarland in Klamath Falls, Oregon on Aug. 14, 1943. She moved to Susanville at a young age and attended local schools, including Lassen High, where she made several very close friends. She married Albino “Al” Quarisa in 1961 and her first born child, Dennis Ray, was born in 1963. After Al’s sudden passing in 1963, Joyce married Robert “Bob” Stock in 1965, and they had two daughters, Tara Lea and Sherri Lynn. She also had many close friends and loved spending time with them, especially at the annual LHS alumni picnic and her class reunions. She loved her bowling league friends and memories too. Joyce worked at Holiday Market and Safeway in the bakeries for many years until she retired in 2006 and moved to Galt to be closer to her family. She was such a selfless, loving person who will be remembered for her beautiful smile. Even as she struggled over the past few years, she always wanted to help others and make sure everyone else was happy. She is preceded in death by her parents; two husbands; and her brothers, Curt and Pete McFarland. She is survived by her children, Dennis and Connie Quarisa, Tara Stock and Sherri Stock; her grandchildren, Bobby Quarisa, Justin Quarisa (Ashley), and Travis Quarisa (Kaila); and her great-grandchildren, who were Grandma J’s pride and joy, Kamille Rae, Jordan Cooper, Cason Adam, Trevor Cole and Emmelyn Belle. She is also survived by her sisters, Shirley Rummel and Jackie Atteberry; and many nieces and nephews who also loved her very much. To donate by mail, send a check to: Alzheimer’s Association. In memory of Joyce Stock P.O. Box 96011 Washington, D.C. 20090-6011. To donate by phone, call (800) 272-3900. 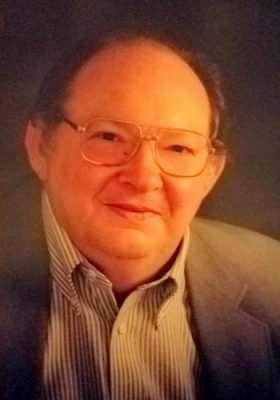 Carl Joseph Wagner passed away on May 4, 2018 in Reno, Nevada. He was born in Pittsburgh, Pennsylvania on March 26, 1938 to Frank and Loretta Wagner. He moved to Sacramento, California in 1963 where he worked at Campbell’s Soup Company until retiring in 1997. He and his wife Margaret moved to Susanville in 1999 to be close to family. Carl enjoyed making model airplanes, working with his HO scale model trains, woodworking, and watching old western movies. He was preceded in death by his wife of 53 years, Margaret Wagner; his parents; his brother; and his sisters. Carl is survived by his children, Mary Blackard (Daniel), Danny Wagner, and Bridgett Wagner; his grandchildren, Briley Kibbie (Arlie), Sebastian Cissney, Savannah Wagner, Jamee Edgar, Jake Blackard (Beth), Logan Blackard and Emily Blackard; and his great-grandchildren, Trace and Zachary Kibbie. Arrangements are under the direction of Walton Funeral Home in Reno. Agnes Allison was born Jan. 2, 1915 in Lambert, Montana. She died March 27, 2018 in Sunnyvale, California aged 103 years, 2 months and 26 days. She is survived by her daughter, Gloria Jones, her son, James C. Allison, eight grandchildren, 19 great-grandchildren and one great great grandchild. She was preceded in death by her husband, Herman James Allison, and her son, Trenton Allison. Allison’s mother died when Agnes was 1-year-old, and she was raised by her maternal grandparents. In 1918, at age 3, the family moved to Manton, California where she grew up and attended school. After graduating from Red Bluff High School, she worked for various families as a domestic laborer. In 1935, she met and married Jim Allison and had three children. In 1942, when her husband became disabled, she took a job with the government at McClelland Air Base in Sacramento. She got a transfer to Herlong, and at the end of World War II the family moved to Susanville. All three children graduated from Lassen High School. When Gloria had her first child, Agnes and Jim moved to Sunnyvale to be near them. There she enrolled in Foothill Community College, and upon graduating she enrolled in San Jose State College while working full time at Whisman School District, and she graduated in 1967. She got a job at Valley Medical Center in the accounting department and worked there until retirement in 1980. After retirement, she worked various part-time jobs and became an active volunteer at the St. Thomas Our Daily Bread lunch program, Mid- Peninsula Hospice and an adult literacy program. Among her favorite activities were reading and gardening.